Valentine's Day – it’s a time for love, chocolates and finally pluck up the courage to rock that red lipstick you’ve been keeping for that special occasion. Here are some swoon-worthy makeup looks inspired by popular celebs for you to give a whirl. Instead of going for the conventional glitter eyeshadow this V-day, amp up your makeup look by pairing it with latex-like glossy lids. 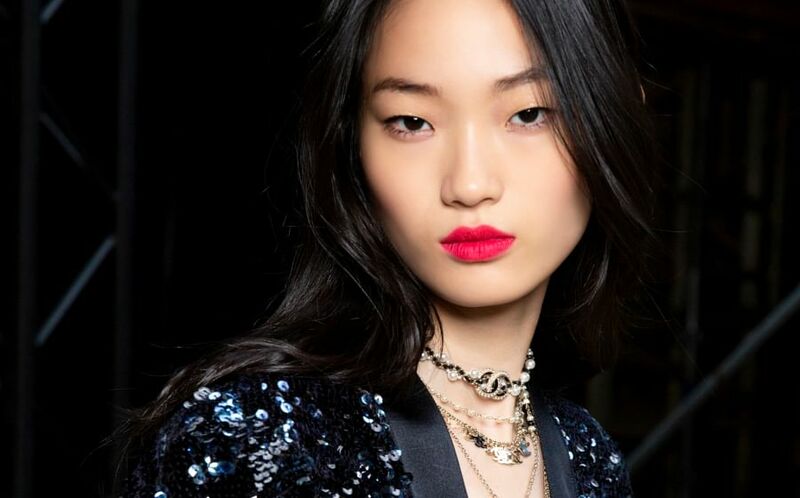 Glossy lids are extremely versatile and can be worn with a matte lip or a bold bright lip colour like the one seen on South Korean model Park Ji Hye. Recreating the look is actually incredibly easy. All it takes is tapping some lip gloss or balm on top of your matte eyeshadow (in any shade of your choice). Just make sure, whatever you use if safe for the eye area. It’s not an overstatement to say that the highlighter trend has been a huge beauty trend for past few years. What we love about Japanese model Rola’s take is how she chose a warm bronzy tone and paired it with peachy pink lipstick. To warm up the complexion and add a subtle shine, apply a shimmery bronzer on the cheekbones and temples. Some nights (or days) call for a statement less serious that a full-on smoky eye. Like, for instance, YouTuber Jenn Im’s romantic pink shadow. Make sure to finish off your soft pink shadow makeup with a coat or two of volumising mascara that will keep you from looking like you have a pink eye (not a good look!). Here’s a way to incorporate V-day’s signature colour all over without looking like a walking candy heart. South Korean girl group AOA member Seolhyun’s rose flushed cheeks and matching pink lips are equal parts cute and elegant. Pop a soft pink blush on the apples of your cheek and finish with a matching lipstick. There’s no denying that the day of love is synonymous with red lipstick. Line your lips with a coordinating lip liner before applying a satin finish lipstick with a brush for precision. Let your red lips do the talking (pun fully intended) and keep the rest of your makeup simple like Hong Kong actress Chrissie Chau. Naturally full brows, lined eyes, and rosy cheeks create a striking balance with the bold red lip.